Update the Solidworks Toolbox 2012 to Toolbox 2018 with the functionality preserved. Default path Solidworks database located C:\SolidWorks Data. In the System Options dialog box, click Hole Wizard/Toolbox. 2. 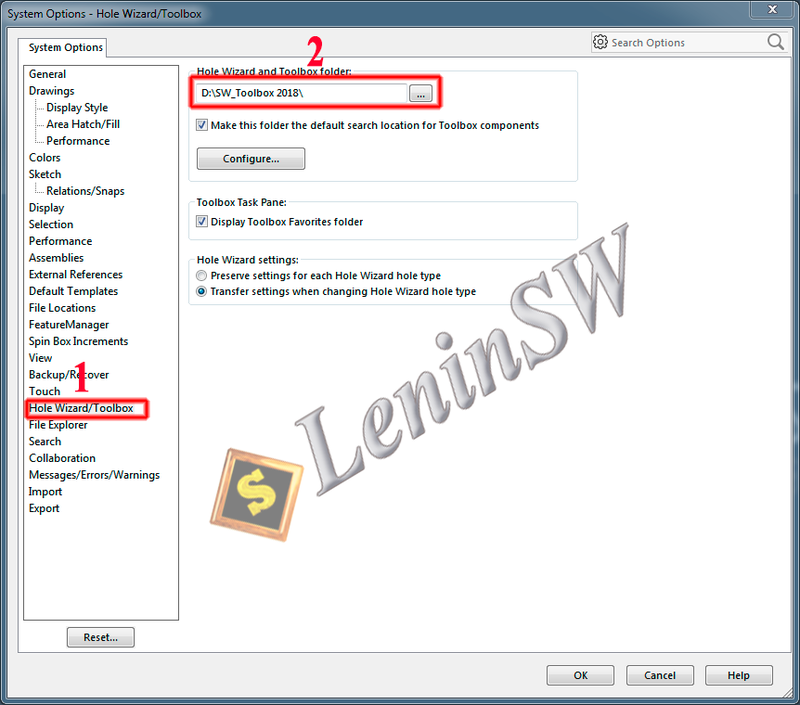 Run Solidworks 2018, click Options (Standard toolbar). In the System Options dialog box, click Hole Wizard/Toolbox and Browse to the Hole Wizard and Toolbox folder location. Browse to the Hole Wizard and Toolbox folder location. 4. Previous versions of Solidworks used a another database format (mdb), must be updated to the swbrowser.sldedb used by SOLIDWORKS 2015 DatabaseConverter located in the C:\Program Files\SolidWorks Corp\SolidWorks\Toolbox\data utilities. Right click the ‘DatabaseConverter.exe’ and select run as administrator. When the conversion process is finished (100%), close the Database Converter. 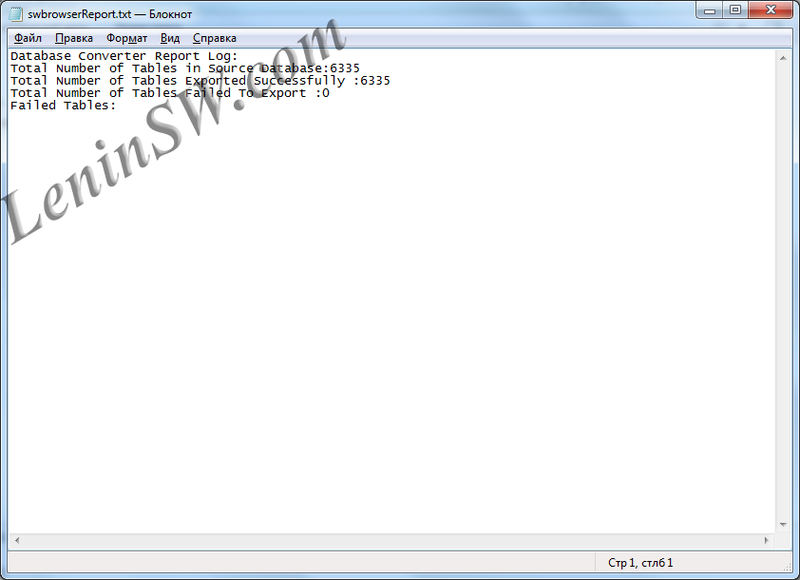 During the conversion process, the file swbrowser.sldedb-journal appears, after the conversion it is deleted. Right click the ‘UpdateBrowserDatabase.exe’ or ‘UpdateBrowserData.exe’ depending on which version you are using and select run as administrator. 7. Clixk "Update". The database update begins. 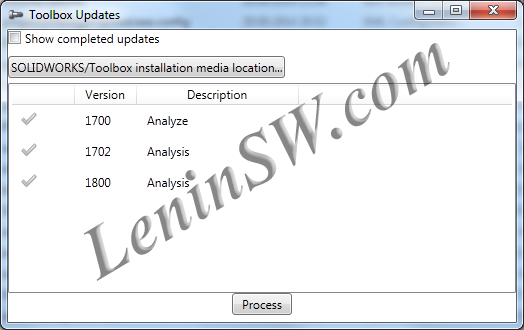 The Update dialog box of the Toolbox "Update Toolbox Database" will close automatically after completion. After the update, a copy of the Solidworks Toolbox database file of the previous version appeared. It should be noted that in this technique swbrowser.mdb is first converted into swbrowser.sldedb, with its subsequent updating. Another option is possible: update swbrowser.mdb, and then convert it to swbrowser.sldedb. In this case, you need to run the UpdateBrowserData.exe file with administrator rights and update the database. And after the upgrade, convert the database by completing steps 4,5. Important!!! For versions beginning with Solidworks 2012, the Toolbox update process is complete. You can connect the Toolbox and use it, but it is advisable to take further steps to make possible changes to the foreign ISO, DIN, etc. standards. If you update the Solidworks Toolbox database version lower than 2012, then these steps are mandatory. Click Solidworks / Toolbox installation media location, specify the path to the installation disk of Solidworks 2015. Press the "Progress" button, the process has started. After this step, the ToolboxFiles.index file appeared in the D: \ SolidWorks Data \ browser directory, which contains indexable information about the Solidworks Toolbox database. The Solidworks Toolbox 2018 update process has been completed successfully! Of course, if you chose to update the existing Toolbox when you installed Solidworks 2018, then all these actions do not need to be performed. Everything will work and so :). N.B. In this case, the correct method for updating is described, but it should be noted that the files from Solidworks Toolbox 2012 will fit all the next versions. And accordingly, any file from the younger version will fit into the older version. The only condition is the minimum file version of Solidworks 2012. The fact is that since Solidworks 2012, the Toolbox files contain all the data needed to create configurations. Those. 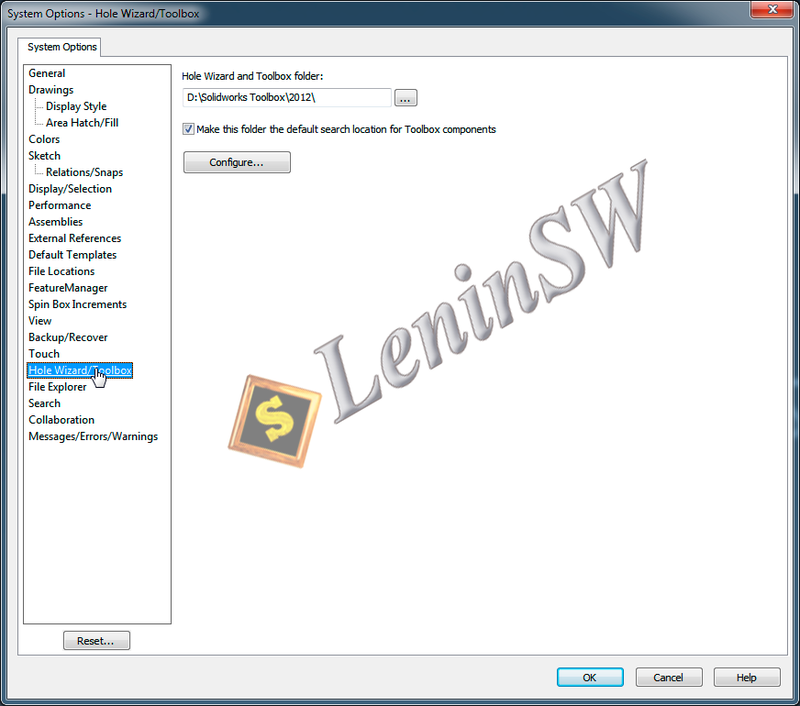 the presence of SWBrowser.mdb is not necessary for the functioning of the details from the Toolbox. Some information from the database is taken, for example the master of holes takes parameters of standards from it. Thus, you can copy the standard from the previous version to the folder with the installed Toolbox (Solidworks Data) in the Browser directory, for example, GOST. After that, delete the file \ Solidworks Data2012 \ browser \ ToolboxFiles.index, run the solid and connect the toolbox. The connection will be much longer than usual, Solidworks re-indexes the files again, after that the GOST standard should appear in the Toolbox. Hello, what font is it? Is there some steps how to solve it?